Grupo R needed a contemporary website that clearly defined their areas of operation and fleet status. A map was designed to identify their fleet located across Mexico and to provide specifications of each vessel. Founded in 1960 Grupo R has become one of Mexico’s largest conglomerates. Their activities include: offshore and onshore drilling including ultra-deep water, operation of gas fields, offshore service and platform maintenance, specialized transportation and industrial and gas construction. With 50 years of experience as Mexico’s primary drilling company, Grupo R wanted to convey their infrastructure, state-of-the art vessels, operational philosophy and fleet status. As a result, Mentus created a website that reflected the professional and integral development of their areas operation and served as a tool to locate and provide technical specifications of their fleet. 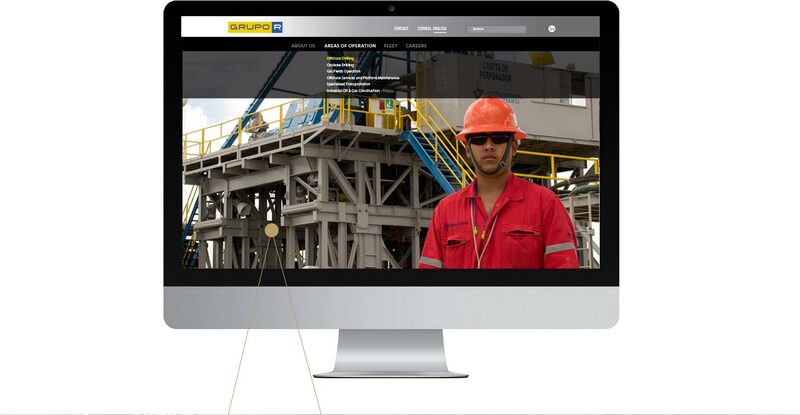 By conveying the company’s assets and integrated services the website demonstrated their use of technology, quality, safety and environmental protection in the oil and gas industry.